In the beginning was the Word . . . There is much talk lately about corporate culture and its impact on business and organisational performance. 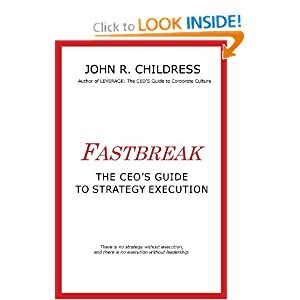 When I first began consulting back in 1978 there was no such thing as corporate culture. Back then we called it the “personality of the organisation” – just as an individual has a certain personality which tends to guide the way they behave and act, so do organisations. It took the seminal work of Tom Peters and Bob Waterman in their best-selling book, In Search of Excellence to introduce corporate culture into the business lexicon. Today, barely an issue of the Wall Street Journal is published without someone talking about corporate culture. Articles on Zappos praise its culture of customer service. Articles on finance talk about the culture of banking being broken. There are start-up cultures and “dinosaur cultures”. 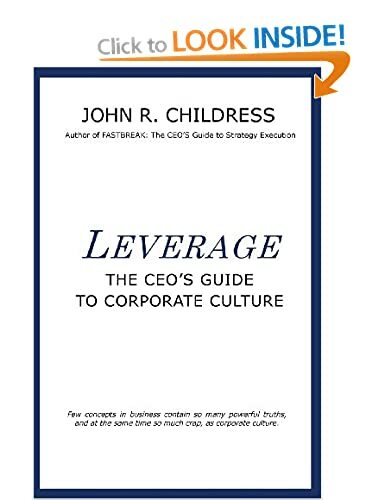 While there is now a general understanding of corporate culture and its impact on performance, there is little understanding of how to change or reshape corporate culture. Many books and consulting firms have risen touting various culture change processes, formulas and approaches. Most are complicated and usually involve senior leadership workshops and culture change training at all levels. Some work, most don’t. At a twice monthly review meeting on important business improvement projects, managers would report on their accomplishments over the past two weeks, the problems encountered, and action plans for the coming two weeks. The projects were critical to the company’s competitive strategy, but after several months of reviews, the entire process settled in to a “tick the box” exercise where people showed up, did their thing, and went back to business as usual. Needless to say, progress on these important projects was slow and painful. Here’s why. The CEO who was chairing the meeting, saw himself as a “problem solver” and would engage with the project owners by asking lots of questions, trying to help by coming up with ideas and suggestions. She would ask a series of questions intended to help them think of things they might have missed. Since the CEO had been in the company a long time, this was pretty much the culture, ask lots of questions to find ways to help or improve. In the end, however, most project leaders settled in to the “20 Question” game without much enthusiasm or commitment. As a result, deadlines were missed, but there were good reasons and the CEO always understood and offered more suggestions to get the project back on track. Maybe you have seen the “20 Questions” culture-of-helpfulness before. Lots of good intention but little real momentum, speed, or results. And endless meetings! After some wise counsel from an outside observer, the CEO began to understand that she was part of the problem, and part of the solution. Organisations are shadows of the leaders . . . that’s the good news and the bad news! What (specifically) is your next deliverable? When (meaning on what date) will you deliver it? What support do you need from us in this room to deliver? The CEO now understood that there is no performance without individual accountability, and no accountability without clear deadlines and metrics. And she was relentless. In less than three months the “20 Questions” culture was transformed into a culture of performance. Most project leaders got the message and began to focus on delivery, not presentations or excuses. A few project leaders were replaced. Projects moved forward with speed. Discussions during the reviews now focused on moving things forward and making commitments to deliver. What words are you using? What culture are you creating? Change your words and change the DNA of your company. This entry was posted in consulting, corporate culture, Human Psychology, John R Childress, leadership, Organization Behavior, Personal Development, strategy execution and tagged Accountability, culture change, Customer Service, DNA, In Search of Excellence, Napoleon Hill, shadow of the leader, Tom Peters, Zappos. Bookmark the permalink. 4 Responses to In the beginning was the Word . . .
Great article, John. I once saw a new CEO transform a culture by imposing a new policy. No one was able to raise an issue for senior management to address without proposing the solution. If you sent a memo (this was c 1985, when I was a humble graduate trainee) to the Board raising an issue it used to be returned to you with “What do you propose?” scrawled on it, usually by the CEO himself. He also used to bounce back any documents longer than 2 pages. Michael. Thanks for the follow and the comment. The role of leader carries great power, as you have indicated. Keep leading. John, a truly value adding post. What, When and How are the key. Will keep reminding myself these in my new assignment.